Every once in a while I discover a rhyme that is what I would call a "super-rhyme!" These little rhymes seem very simple on the surface - mild-mannered, like Clark Kent - but when you analyze them, you discover they are cram-jammed full of all sorts of early literacy building powers. It gives kids a chance to practice counting to ten. This, in turn, helps kids learn sequencing. 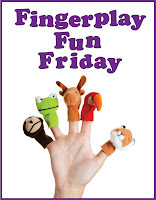 Rising the fingers one at a time lets kids practice their fine motor skills. 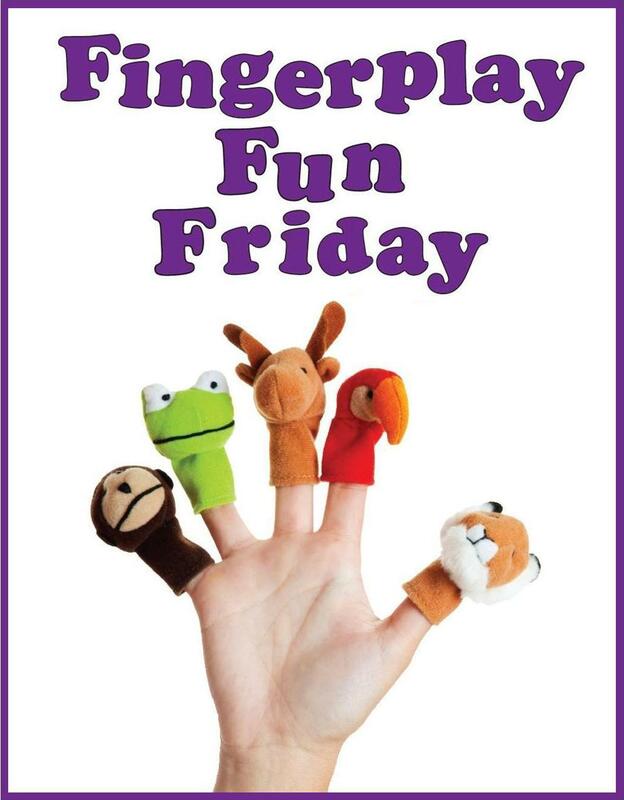 Moving fingers independently is a skill that kids will need when they learn to write and type. The back and forth dialog in the final section of the rhyme models conversational turn-taking. This is part of the pre-reading skill we call narrative skills. The very last line gives kids the chance to build up their directional sense. Recognizing right from left is an important pre-reading skill. The title says it all! 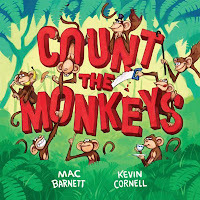 This is your big chance to count a book full of monkeys ... unless they get scared away by a cobra or mongooses or crocodiles or ... you get the picture. This book is more fun than a barrel of ... wait for it .... MONKEYS!